Nightcrawler #4 on sale Wed July 9th and a Twitter Contest! Nightcrawler #4 is on sale this week. It hits the stores on Wednesday, July 9th. I’m running a sketch retweet contest on my Twitter account. Click on the link to this TWEET and click “retweet” for a chance to win this original 7″x10″ (roughly) piece of art. 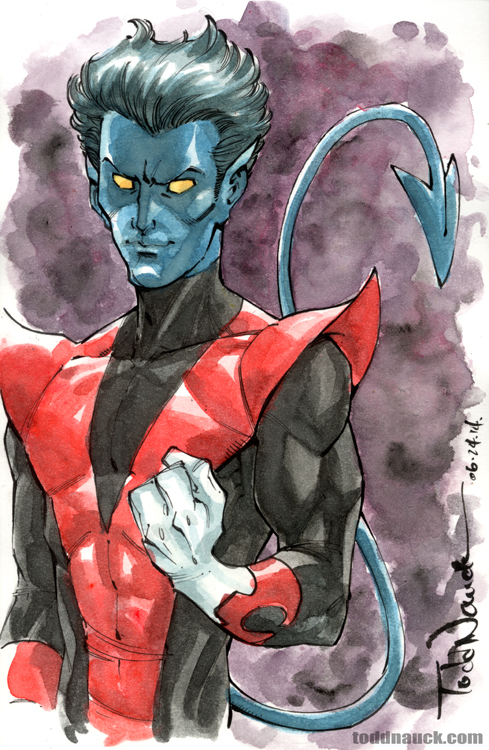 On Friday, July 11, one (1) “retweeter” of that tweet will be randomly chosen to win this Nightcrawler art piece. Check out the issue #4 preview on Comic Vine! Thanks for participating and for reading Nightcrawler! This entry was posted in Marvel by Todd Nauck. Bookmark the permalink.